Stian and Lena Paus Jensvoll, a Norwegian couple, have built their dream home close to nature as well as to the city where they work.Surrounded by a beautiful forest and meadows they designed a very minimalistic house with lots of large windows and a use of materials and colors that emphasizes the closeness to nature. 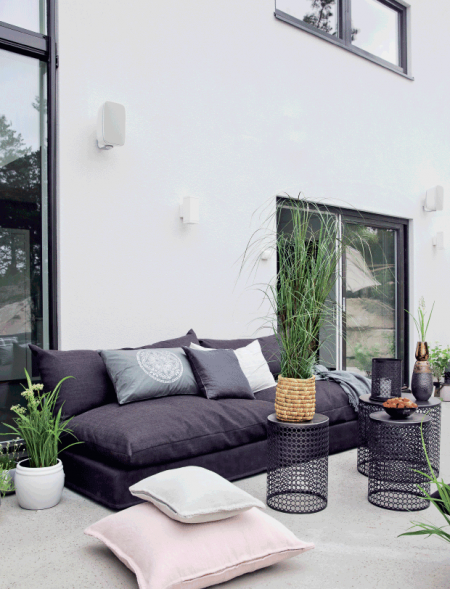 A large terrace extends the living space outside. The interior design is based on soft, neutral colors, allowing nature to add its own harmony to the spaces. Where curtains are used they are hung from ceiling height to make the room appear more generous.